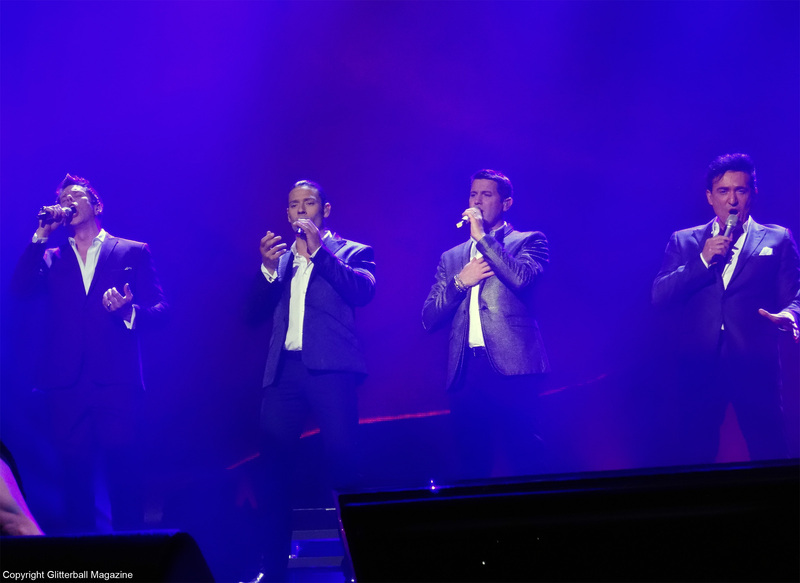 Il Divo certainly brought a touch of Latin fever to a chilly Glaswegian evening as they kicked off the UK part of their Amor & Pasion worldwide tour at Glasgow’s SSE Hydro arena. Cheesy chat up lines, lots of dancing and outstanding voices. Oh, and they looked pretty good too. What more could I have asked for? I was very excited to see them perform. The handsome quartet haven’t been on tour since their 2014 A Musical Affair show with guest Lea Salonga (the singing voice of Princess Jasmine in Disney’s Aladdin). If you’re not familiar with them, Il Divo are a multinational operatic pop vocal group put together by Simon Cowell over ten years ago. The group includes American David Miller, Frenchman Sebastien Izambard, Spaniard Carlos Marin and Swiss Urs Buhler. Over the years the band have continued to thrill audiences worldwide with their talent and charisma. Their 7th studio album, Amor & Pasion is an exciting mix of Latin influenced music, ranging from traditional tangos to mambas and classical boleros. Admittedly, it’s not my usual taste in music but I always have lots of fun at their shows. Indeed, I’ve been attending their concerts for 10 years. They have such beautiful voices that it’s impossible not to be blown away by their performances. I was lucky enough to meet David outside the venue before the concert, along with a few other fans. He walked over smiling and chatted away. He even posed for photographs, what a gentleman! They performed an exciting selection of songs from Amor & Pasion, including Bésame Mucho, Si Voy A Perderte (Don’t Wanna Lose You), Abrázame, Historia de un Amor, Caruso, To All The Girls I’ve Loved Before (A Las Mujeres Que Yo Amé) and Quizás, Quizás, Quizás (Perhaps, Perhap, Perhaps). During Quien Sera (Sway), everyone got up to dance. Because the tour focuses on a Latin theme, they are accompanied by dancers. While I don’t see the necessity of this, it was very entertaining watching the immaculately dressed guys dancing! I thoroughly enjoyed their solo performances, it was lovely watching them play different instruments. Urs sang Dein Ist Mein Ganzes Herz (Yours Is My Heart Alone) and Sebastien sang Edith Piaf’s Hymne a L’Amour. Carlos performed Frank Sinatra’s New York, New York. A personal highlight was David’s beautiful version of the opera classic Nessun Dorma. It was captivating and powerful. It’s always been one of my favourite songs. In addition to promoting their latest album, they performed a variety of old favourites, including Isabel, La Vida Sin Amor, Everytime I Look At You, Mama, Passera, Somewhere and Hallelujah (Aleluya). Overall, it was a delightful evening of exceptional music. I look forward to seeing them again! Il Divo are currently on tour in the UK. For more information go to ildivo.com. Photography is copyright to Glitterball Magazine. All rights reserved. Thanks for your amazing note, and lovely pictures!!! I’m from Argentina and I loved to see the show in Buenos Aires. Big hugs!! !